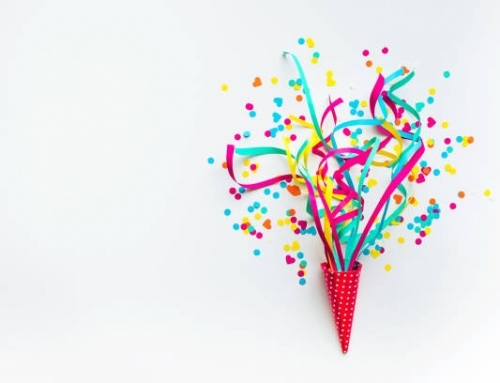 The summer months are always busy here at RTC, and this year was no exception – in fact we’ve been busier than ever! This August was a record breaking month for us and all of our teams were working hard to carry out installs all over the country. 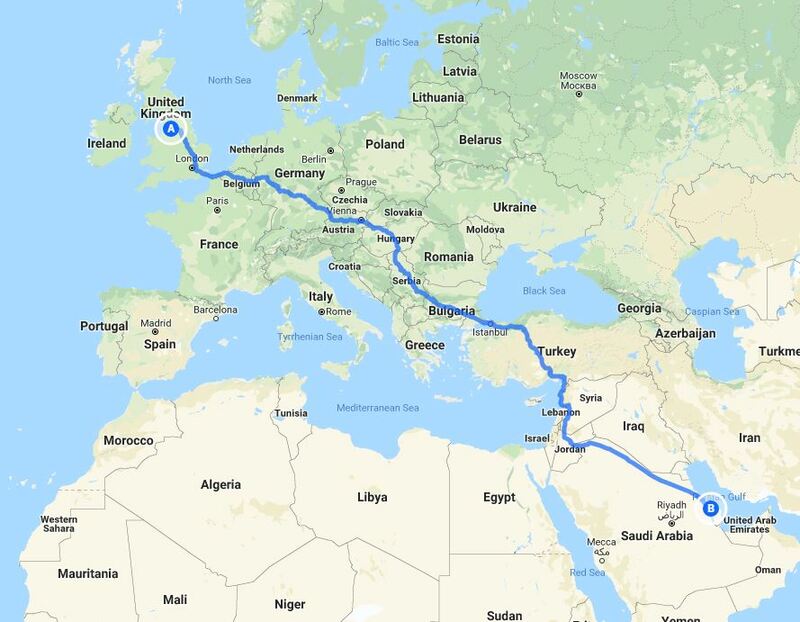 One team even travelled as far as Bahrain to install almost 500m² of wet pour safety surfacing! With average day time temperatures reaching 39° our team had to battle through the heat and use their wealth of knowledge, but all their efforts resulted in a great safety surface! Closer to home, we’ve been installing wet pour safety surfacing for a new branch of McDonald’s in Burnley, just down the road from our head office. We’ve carried out a number of projects recently for McDonald’s all over the UK, but it’s great to think our local community will be able to make the most of this install. Further afield, one of our teams has been working in Battersea Park, London. 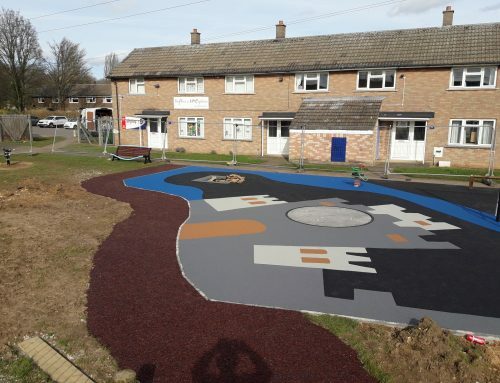 The project involved installing over 750m² of wet pour and over 700m² of resin bound rubber mulch. The design incorporated multiple circles, tracks and ‘waves’ of contrasting colour, however the project was completed in just 15 days! Meanwhile, we also had a team is Salford, installing our SUDS Compliant surfacing Enviro-Pave as part of the Linnyshaw Loop. The pathway is being created for pedestrians and cyclists in an effort to make it easier for more people to get active on their commute. 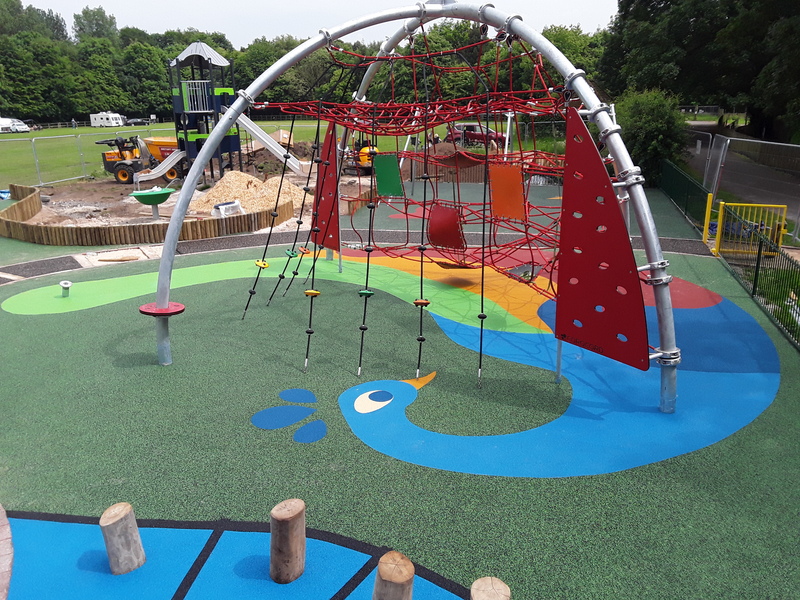 Another project we completed this quarter, was Roffey Recreation Ground. Working on behalf of Kompan, we installed over 300m² of wet pour surfacing. The plan included multiple graphics, and our team worked hard to ensure every detail on the design was delivered to a high standard. 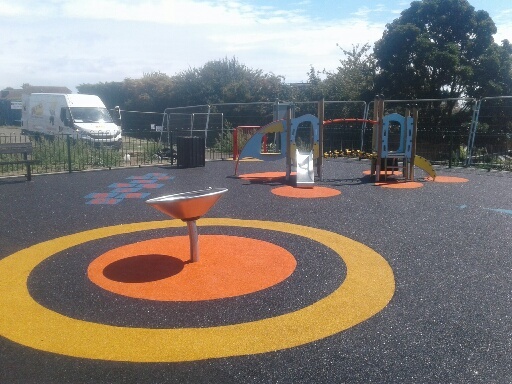 By working with Kompan again, we also helped to transform the play area at Normanby Hall in Scunthorpe. 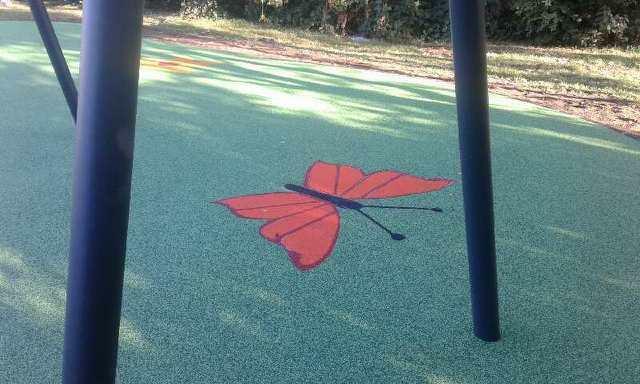 We spent twelve days on site in total – with our site manager hand drawing and installing a large peacock graphic around a piece of play equipment, along with other areas of wet pour, rubber mulch and Enviro-Pave. If you’d like to know more about this project, you can always read our full case study here. 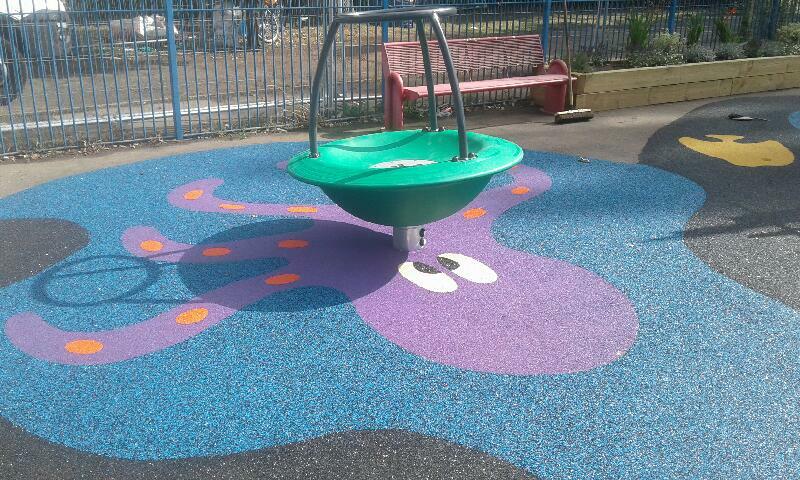 Besides these installs, we also had a team working in Mole Valley at the Kingston Road Recreation Ground. The pirate-themed surfacing took seven days to create, with graphics such as an anchor, octopus and skull with crossbones. 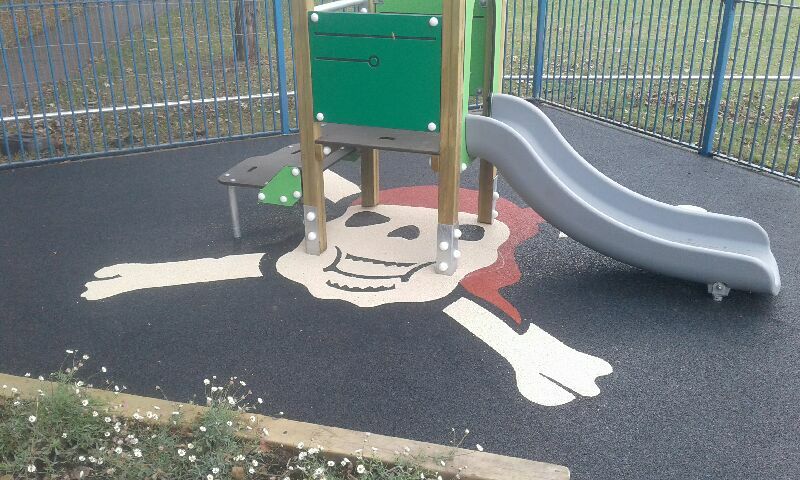 Pirate based designs can be a great choice for playgrounds, as the theme is timeless and will be instantly recognisable to children of all ages. 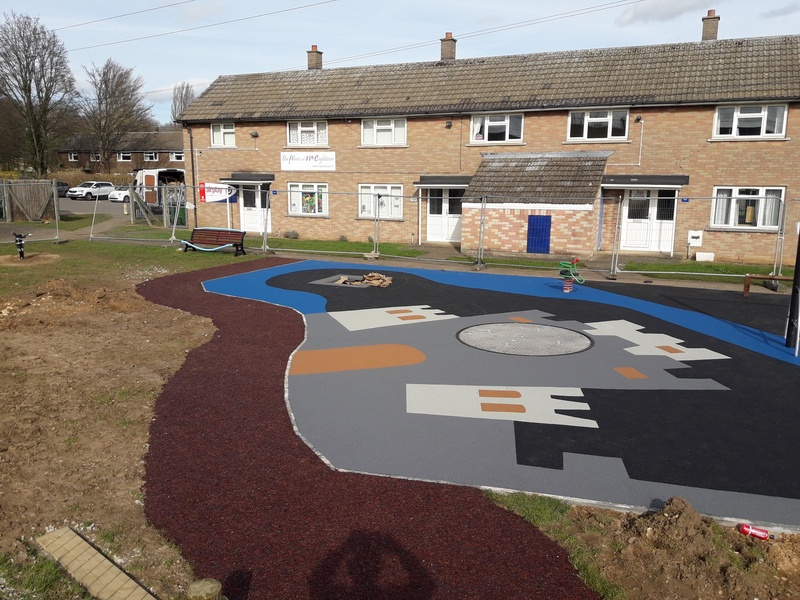 In Romford, we installed 1,000m² of resin bound rubber mulch at Belhus County Park. 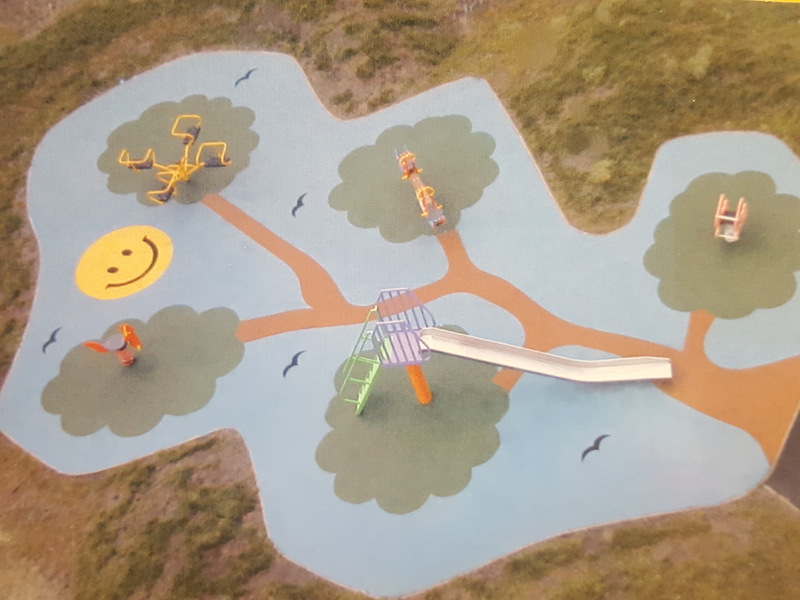 Originally part of the Belhus Estate, it is a popular destination for families and the new surfacing means children can enjoy the play area all year round without getting muddy or slipping during the winter. 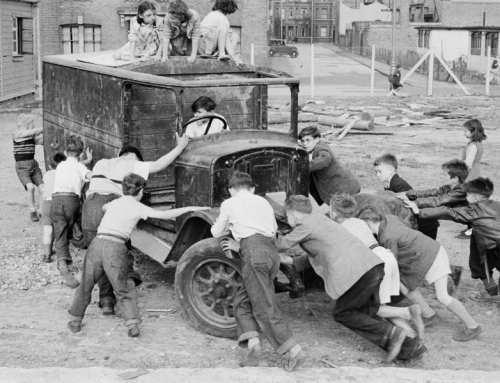 Meanwhile, we also had a team based in Southwick working on behalf of Playdale. The project involved installing over 400m² of black wet pour, with eye-catching graphics in yellow and orange. 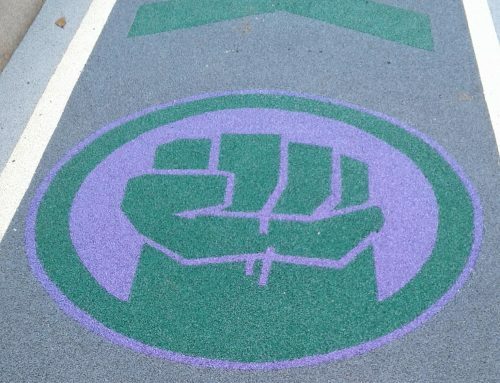 This project highlights how sometimes simplicity can work wonders in a playground. If you don’t want to choose a theme, using graphics such as these can be a great way to highlight different pieces of equipment and break up an otherwise plain background. We’ve also been working in Scotland, on behalf of Kompan Scotland. 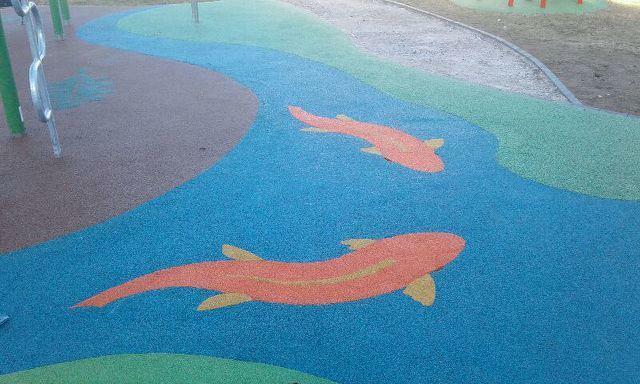 We installed almost 400m² of safety surfacing at Corpus Christi School in Glasgow, helping to create a great outdoor play area that can be used for years to come! 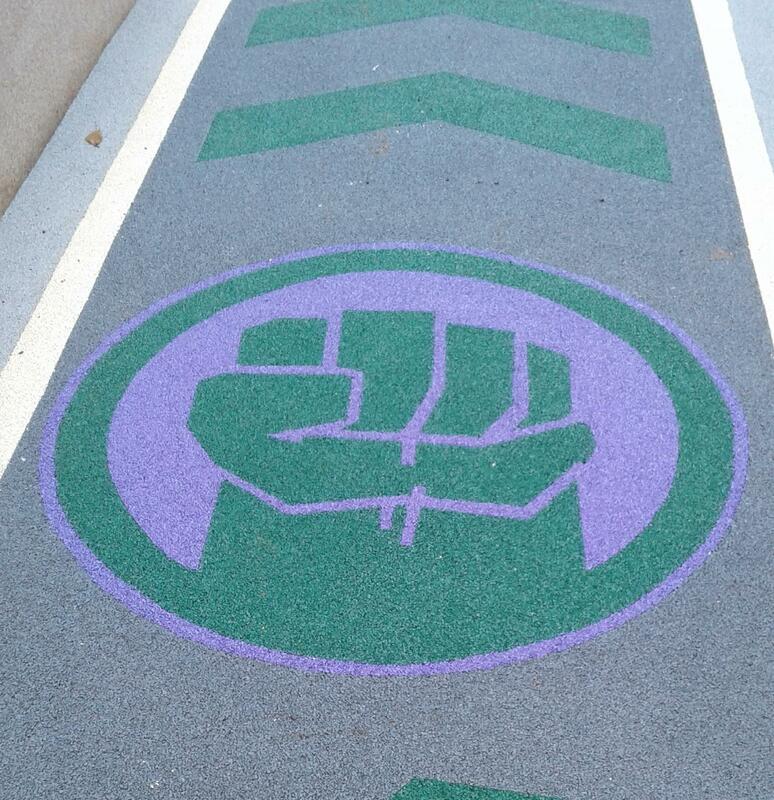 Along with all of these great projects, our Billy Bounce division has been busy transforming school playgrounds and installing daily mile tracks throughout the summer holiday period ready for when the staff and pupils returned. As we head into the winter months we’ll be sharing updates from our installs over on our Linkedin. 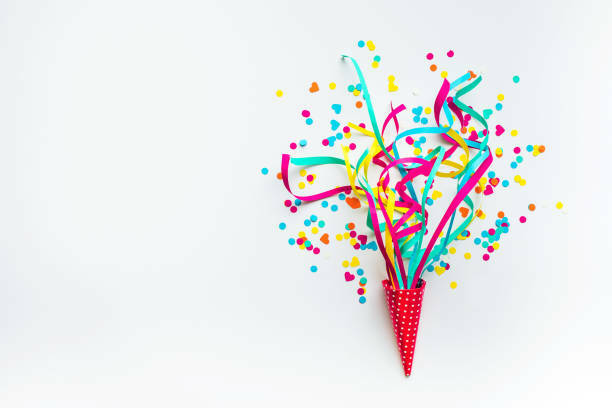 Don’t forget to follow our page! 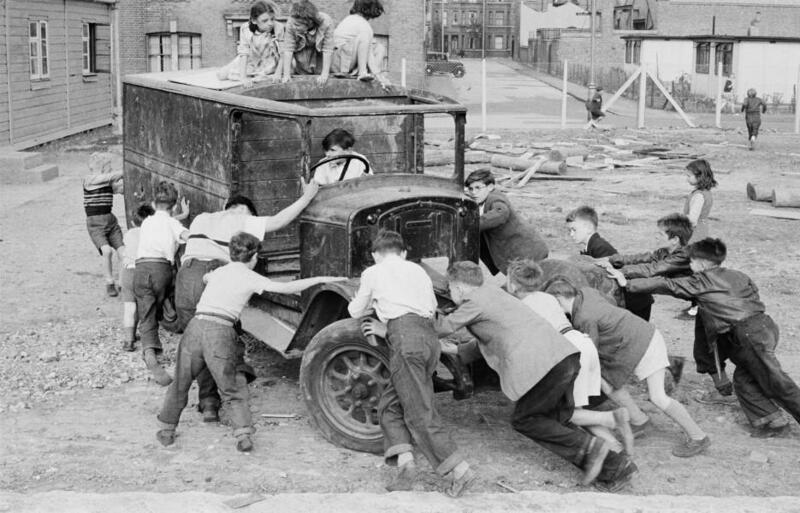 Alternatively, if you’re working on a project and would like to discuss it with our team, just get in touch!